The bathing experience of your dreams – a long soak in pure rose fragrance and creamy moisturising oils. A luxurious bathtime experience, with precious fragrant natural oils and extracts of roses. 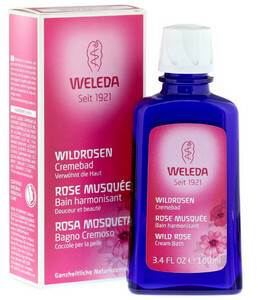 Beautifully perfumed damask rose helps induce inner relaxation, balance and harmony. We blend its essential oil with organic wild rose oil for intense skin-nourishment in a rich, creamy base of olive and jojoba oils. Emerge from your bath silky soft, fragrant and with an intense feeling of well-being.